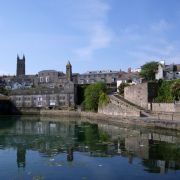 Whilst Falmouth is one of Cornwall's largest towns it is still easy enough to explore this port town on foot. 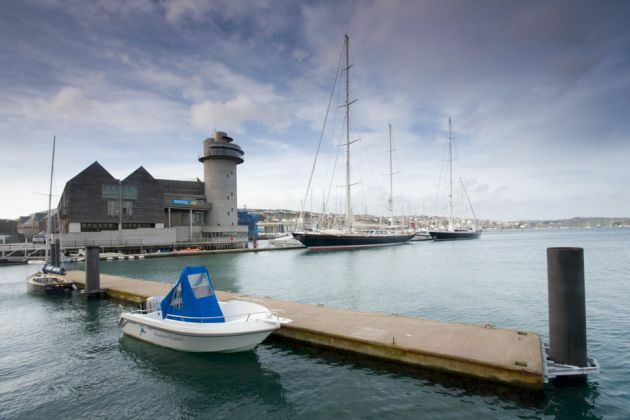 Situated in a relatively sheltered bay on the south coast of Cornwall, Falmouth is all about the water. 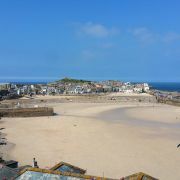 The pretty old harbour and docks on one side of town and sandy beaches on the other; a grassy headland complete with Tudor castle separating them. Make no mistake, this is a working port with some pretty big ships many of which are here to take advantage of what is purportedly the third largest natural harbour in the world. 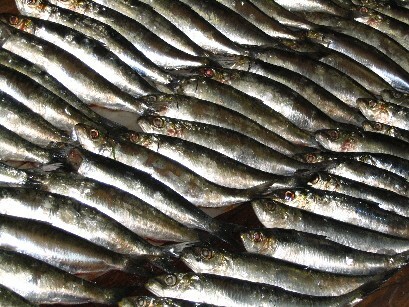 Falmouth is a relatively well off town, something that has been further boosted with the development of the University. This air of prosperity continues along the south coast of the town where grand hotels overlook the beaches with their upmarket beach cafes. Positioned on a long high headland is Pendennis Castle. Built by Henry VIII to defend this important harbour, the castle is one of a pair, the other being St Mawes Castle. Both are of a similar style featuring a wide round tower along with additional quarters all of which are open to the public. Maintained by English Heritage Pendennis Castle also features several reconstructions showing life in the castle over the ages. The site was also of some importance during both World Wars and there are exhibits to reflect this. Set in a swanky new building right on the dock side is the National Maritime Museum. With twelve galleries set over three floors and an extensive library there is a serious amount of stuff to see. Exhibitions cover all things nautical including the history of the boat, the port's history, weather, wildlife and a number of more interactive displays like the boating pool with its fans to provide all the wind needed to sail model boats. Other great features are the Look Out tower and the two large underwater windows. 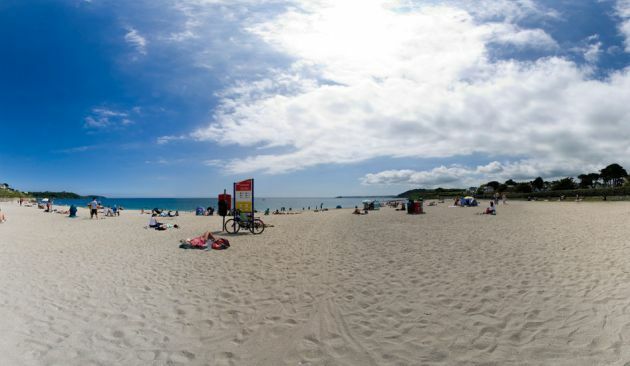 Falmouth has two good beaches within walking distance of the town centre. The closest (and more popular) is Gyllngvase beach with its fine sand and clean, safe water. A regular winner of the coveted Blue Flag award Gyllngvase has all the facilities you could need including an upmarket beach café. The beach here backs onto the small formal Queen Mary gardens with a path leading along the coast towards Falmouth's other main beach, Swanpool. Swanpool is named after the lake that is located behind the beach, separated from the sea by the beach and road. The sand here is a little coarser and more pebbly, and the café not quite as posh! It's still a nice little beach and sits right on the edge of Falmouth. 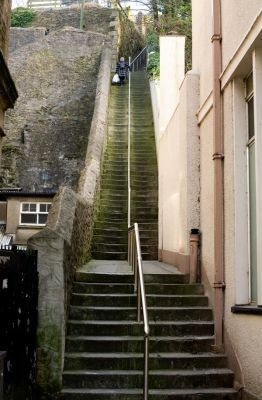 Depending on your physical condition it might be better to descend Jacob's Ladder! There are 111 granite steps leading down to Falmouth's main square, ‘the Moor'. The sweeping views of the harbour and estuary from the top are worth the slog. Contrary to what you may have assumed the Jacob in question is not the biblical one, merely a local business man who wanted a shortcut from his house to his business. 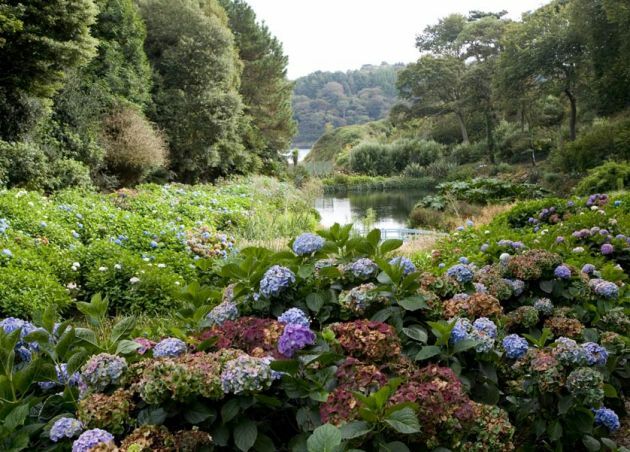 There are a number of world class gardens both in and around Falmouth, all benefitting from the mild climate of the Cornish South coast. In town there is Fox Rosehill Garden, the work of the Fox family who ran a shipping business. The garden contains many exotic specimens from far flung destinations and includes Banana, Lemon and Eucalyptus trees and numerous palms and ferns. Located around three miles from Falmouth are a renowned pair of valley gardens; Glendurgan and Trebah. Both are equally spectacular as they cascade down towards the waters of the Helford River with the former, again, being the work of the Fox family. Falmouth is possibly the best place in Cornwall to jump on a boat with a big choice of destinations, activities and craft to choose from. 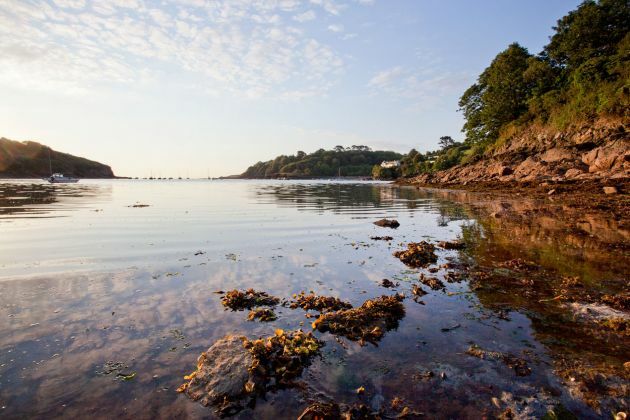 From here you can explore the River Fal with all its picturesque twists and turns, catch a ferry over to St Mawes and the Roseland or head seaward in search of fish / wildlife spotting. 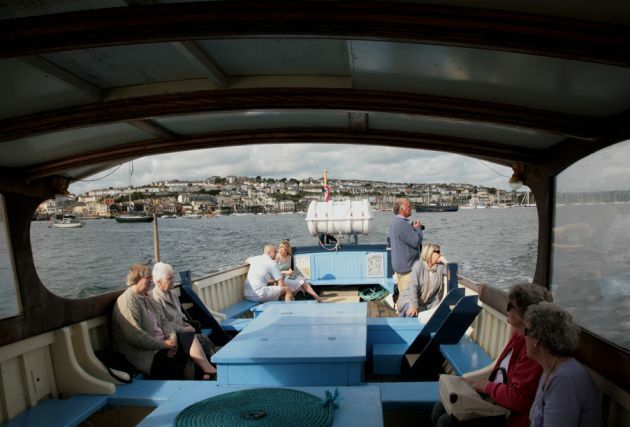 A popular trip from Falmouth is up the Fal Estuary to Cornwall's county town Truro. The trip takes just over an hour and takes in stunning riverside scenery, historic houses and local wildlife. If one river to explore isn't enough then you might want to try a trip up the Helford, a few miles down the coast. 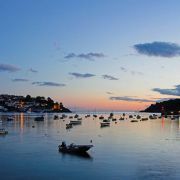 Falmouth is located just along the coast and only a few miles drive from one of Cornwall's most scenic areas, the Helford River. This estuary reaches from the edge of Falmouth Bay to the old trading port of Gweek, 5 miles inland. Towards the seaward end are a number of small, sheltered beaches such as Polgwidden, Porth Saxon and Helford Passage. Further upstream are seven creeks leading off from the river, each with its own distinct character. Best known of these is Frenchman's Creek, made famous by the Daphne du Maurier novel of the same name. The 30 or so miles of riverside fringing the Helford is heavily wooded in parts or backing on to rolling fields in others. There are a number of villages dotted around the estuary, all are worth a visit. The area is rich in wildlife and much has been done to protect its varied habitats. 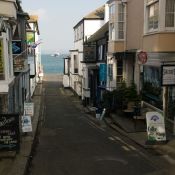 Falmouth is an attractive town with many fine 18th century buildings and it is a great place to have a wander around. As you would expect, all roads lead to the harbour, particularly with there being so much of it. 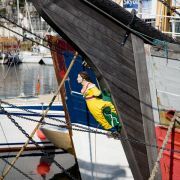 The sea front in Falmouth offers quite a variety ranging from fishing boats in the old quay, with its small granite harbour, to a host of marinas with everything from pleasure cruisers up to super yachts. There is also an industrial side with the docks catering for all size of ships. 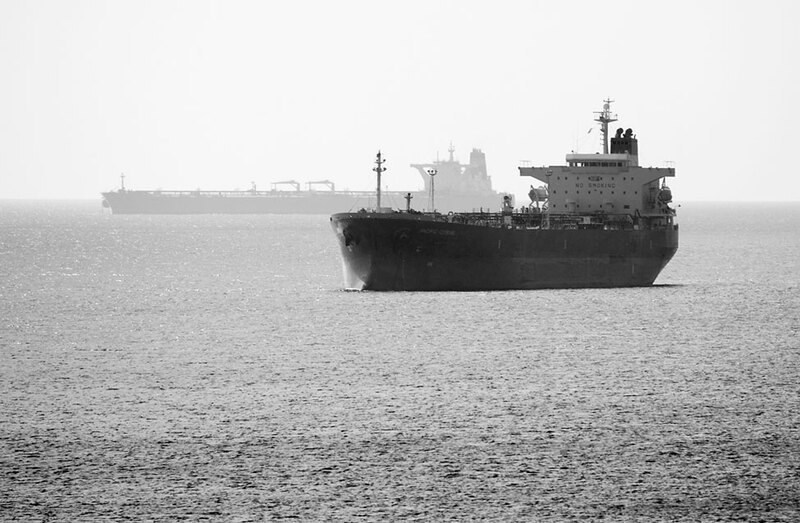 The Carrick Roads, at the mouth of the Fal is one of the world's largest natural anchorages; as a result you may well see some of the world's biggests ships here. The relative shelter of Falmouth Bay is also a good place to spot huge ships, not to mention a popular stop of point for tall ships and ocean liners. Just across the waters of Falmouth harbour is the village of St Mawes and the Roseland Peninsula beyond. Getting here couldn't be easier with a ferry service running every half hour and taking around 20 minutes. 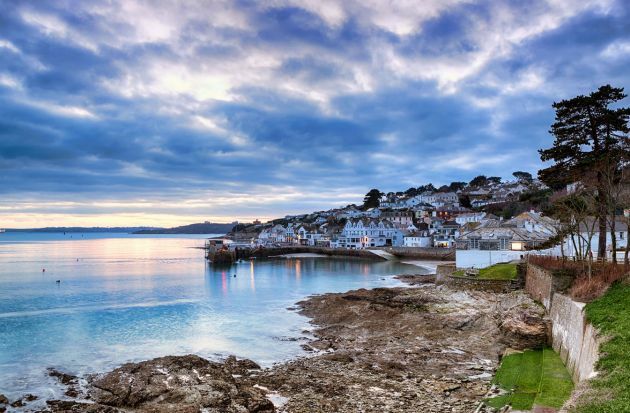 St Mawes is an attractive harbour village with steep, cottage-line narrow streets leading up from the sea front. It has a reputation for being rather upmarket and certainly caters for this end of the market with various royals having stayed here over the years. 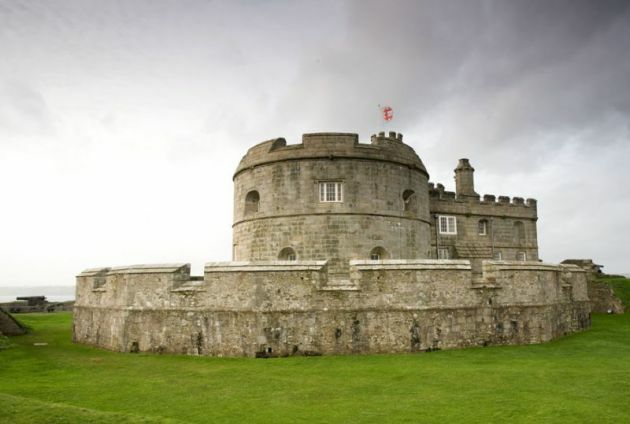 The castle in St Mawes was built along with Falmouth's Pendennis Castle to defend the river from possible French invasion and is well worth a visit. Further afield, the Roseland is a rural idyll, protected from the masses by its poor access. 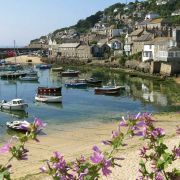 Rolling countryside, wooded creeks and beautiful coastline can all be found here along with picture postcard villages.